Below is a short Bobby Razak film dedicated to the legalization of MMA in the state of New York. Despite holding the mitts briefly in the video (approximately the 7:25 mark), I had no idea that MMA was illegal in New York. It wasn’t until after we exited the ring that I learned about the purpose of the brief film.Â It is definitely worth a look for all fans of combat sports. I am shocked that MMA is banned in New York and can only hope it is a matter of time before it is legalized. New York has such a rich history in boxing. Madison Square Garden has played host to some of the greatest fighters in the history of the sport. John L. Sullivan was the first heavyweight champion to box at the original Madison Square Garden. Sugar Ray Robinson defeated Jake Lamotta at the Garden in 1942. Joe Louis defended his title eight times at the Garden. The first Ali vs. Frazier fight took place at the Garden. The list of champions who have fought in New York is literally endless. The New York gym scene is also rich in history. Stillman’s Gym was once the center of the boxing universe.Â A separate Hall of Fame could be dedicated to that gym alone. How can a state that has such a rich history in boxing turn its back on MMA?Â Both sports can and should thrive together.Â There is no need for separation.Â There are talented athletes who dedicate their lives to each sport.Â Why should MMA fighters be denied the privilege of fighting in New York? Within the film, boxing promoter Bob Arum makes a comment about spectators and participants with tattoos.Â Must I remind him that he promotes Miguel Cotto, a boxer who has several tattoos.Â Could this really be a reason why he wouldn’t want the sport in New York?Â Â Â Â Are we going to pretend that all boxing events are peaceful and civil? Perhaps he has forgotten the 1996 brawl that took place during the Riddick Bowe vs. Andrew Golota bout.Â Oddly enough, the location of this appalling riot was Madison Square Garden.Â I was there with several fighters from our old gym.Â Â Lou Duva was carried out on a stretcher right past us.Â You can see a video of the riot here. MMA has evolved by leaps and bounds in recent years and will only continue to advance.Â The sport isn’t going anywhere but forward.Â New York needs to open its doors to one of the most popular sports in existence.Â Hopefully this film will expedite the much needed change in law. i think it crazy that out of all the regulations that every country, state and city in the world that hold mma event, new york is one major city that doesnt hold it. in fact the actual word is “BANNED” illegal like its held underground where there are no rules! boxing has been around for hundreds of years started from the streets and developed into the sport it is today, mma is just the younger sibling that has also been around for hundreds of years, we have just named it. New york needs to realize what there missing and if put to the people will show the support we all have. Never knew MMA was illegal in the province of Ontario. What’s interesting is that a lot of old UFC events (especially the first couple) were held in Buffalo, NY. Frank Shamrock used to do a lot of fighting here. It is a shame that MMA has been banned in New York. As the sport grows and continues to show profits New York will have no choice but to join in and lift its ban. wow, definitely should be legal. That was you in the video too eh? Matt’s trainer? 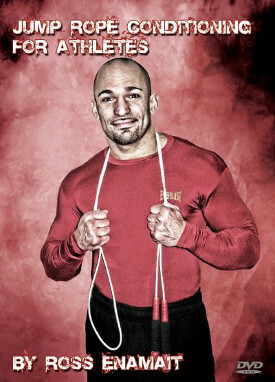 If you are training to be an MMA fighter or a boxer then you have to go to sportsciencelab.com. There is a workout that will help increase punching power. Nice vids Ross. Nice cameo as well. Best of luck to you and your fighter. To the last poster, there are plenty of experienced fighters who frequent here. Don’t ruin this place with advertisements for magic workouts. I am shocked that MMA is banned in New York and can only hope it is a matter of time before it is legalized. New York has such a rich history in boxing.